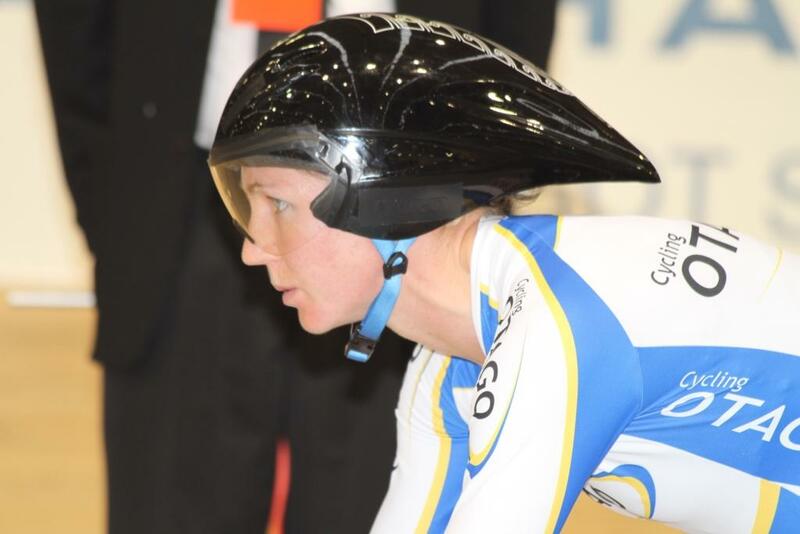 25/02/2011 - Dunedin’s Alison Shanks bounced back from a hasty flight home from Europe to claim her fourth individual pursuit title on the opening night of finals at the RaboDirect New Zealand Track championships in Invercargill tonight. Shanks disposed of her fellow World Cup winning team-mate Jaime Nielsen in the final, while Auckland’s Kaytee Boyd edged out Waikato’s Rushlee Buchanan for the bronze medal. 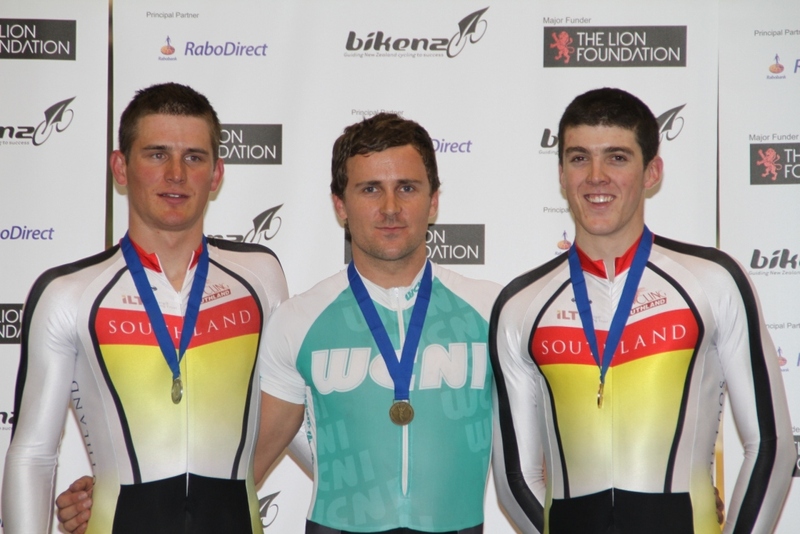 With the Manchester World Cup sprinters out of action today, Manawatu’s Simon Van Velthooven, a keirin specialist, cranked out an impressive 1:02.371 effort to win the 100m time trial. It was a personal best for the big sprinter, second only to national record holder and home town favourite Eddie Dawkins who was sidelined with injury from his crash in Manchester. In other finals Southland-based Cantabrian Natasha Hansen won the 250m time trial in 20.289 edging out Otago’s Katie Scholfield while Southland’s Matt Archibald won the men’s final in 18.413, just ahead of Van Velthooven. The Auckland pairing of Henrietta Mitchell and Vanessa Quin won the team sprint title over local Southland combination of Hansen and Emma Gibb in a slick 36.616. Shanks, concentrating on the team pursuit this year, said it required a different mindset tonight in the individual pursuit. “I’ve been concentrating almost entirely on the team pursuit all this year. Really the only thing similar between a team pursuit and the individual pursuit is that we race over 3kms,” Shanks said. “In the team pursuit you have to give it everything with your turn on the front and then recover at the back. In the individual pursuit it is about spreading your effort across the whole ride. “Having just come off the plane from Manchester at the start of the week I was sure how I would recover. I really wanted to go out this morning and focus on an even ride and it resulted in a good time. I did a 3:32 this morning and then managed to back up with a 3:31 tonight so I am really happy. Shanks has the weekend off back home in Dunedin with the world championship camp begins in Invercargill in a week’s time. Women’s 250m Time Trial, qualifying: Natasha Hansen (Southland) 20.289, 1; Katie Scholfield (Otago) 20.515, 2; Henrietta Mitchell (Auckland) 20.796, 3; Vanessa Quinn (Auckland) 21.822, 4. Final: Hansen 20.053 (NZ record) 1; Scholfield 20.329, 2; Mitchell 20.894,3. Men’s 250mTime Trial, qualifying: Matt Archibald (Southland) 18.635, 1; Simon van Velthooven (East Coast North Island) 18.666, 2; Sean Fox (Southland) 18.895, 3; Elijah May (Canterbury) 18.968, 4. Final: Archibald 18.413, 1; van Velthooven 18.615, 2; Fox 18.715, 3. Men's 1000m Time Trial final: Simon van Velthooven (WCNI) 1.02.371, 1; Cameron Karwowski (Southland) 1.04.421, 2; Tom Scully (Southland) 1.04.975, 3. Women's 500m Team Sprint qualifying: Auckland (Henrietta Mitchell, Vanessa Quinn) 36.715,1; Southland (Emma Gibb, Natasha Hansen) 37.268, 2; Wellington (Hayley Giddens, Hannah Latta) 38.987, 3.Final: Auckland 36.616, 1; Southland 37.406; Wellington 3.